If I were to be banished to an island (I really hope that never happens because my survival skills would be so embarrassingly bad) where I could only take five makeup items with me, that would be hell #firstworldproblems. This is my number one, ride or die foundation. 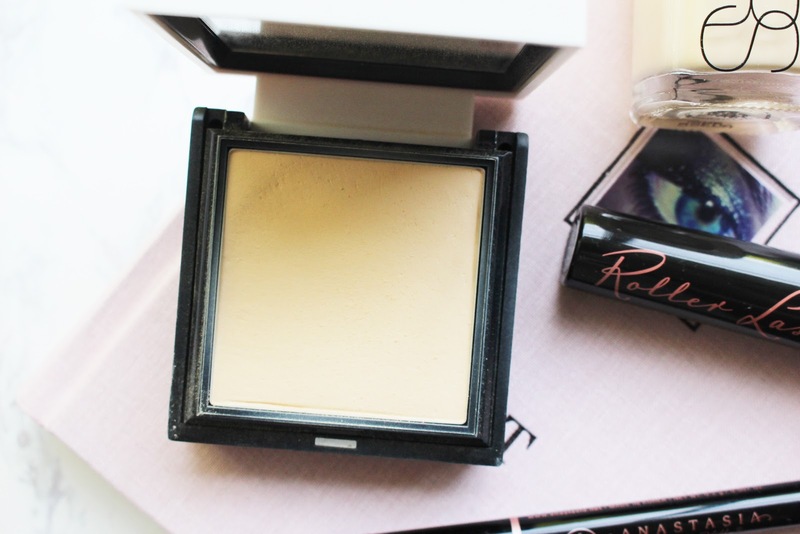 I've only ever tried five foundations before and this one is by far the best! 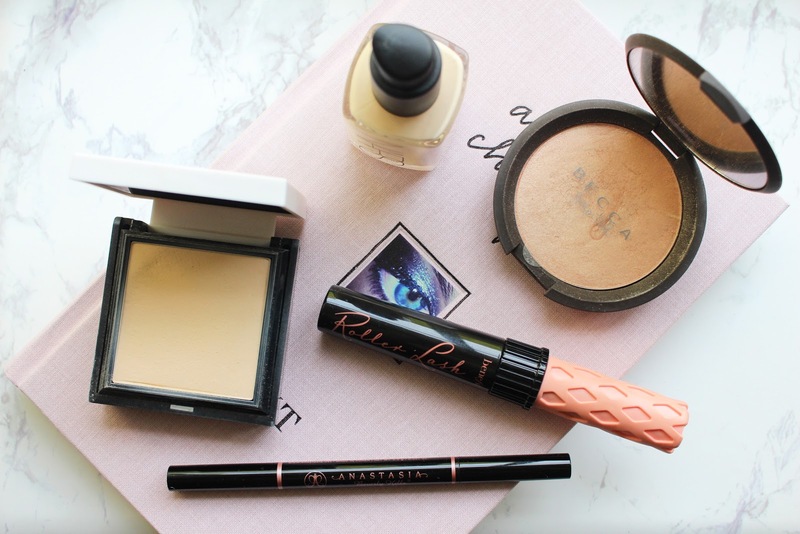 It's the perfect coverage for me and doesn't leave me looking oily or too dry. The shade match to my skin is beyond amazing and this would be the first makeup item on my list to take with me. A.K.A. the only powder I have used for the past two/three years now. It doesn't give a lot of extra coverage but also isn't completely pointless by offering none. It doesn't leave my face looking flat when it mattifies it which is a m a z i n g and again, the colour match is great. 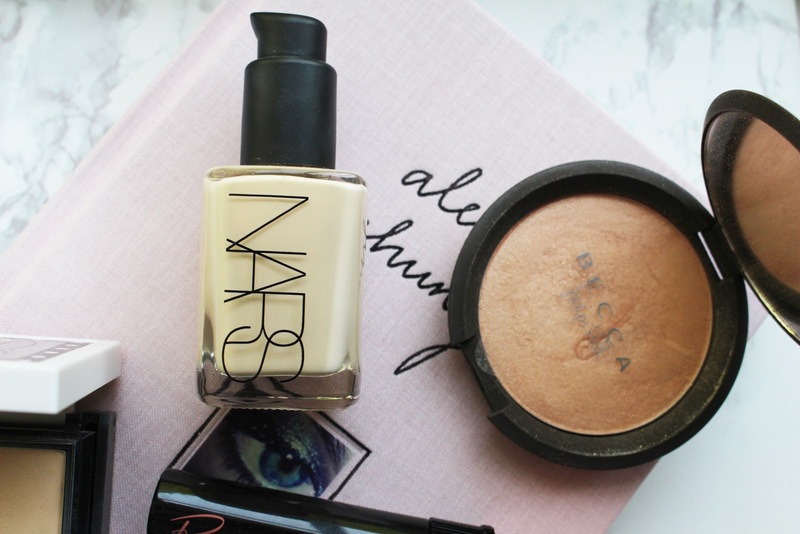 This is possibly the best highlighter ever!? 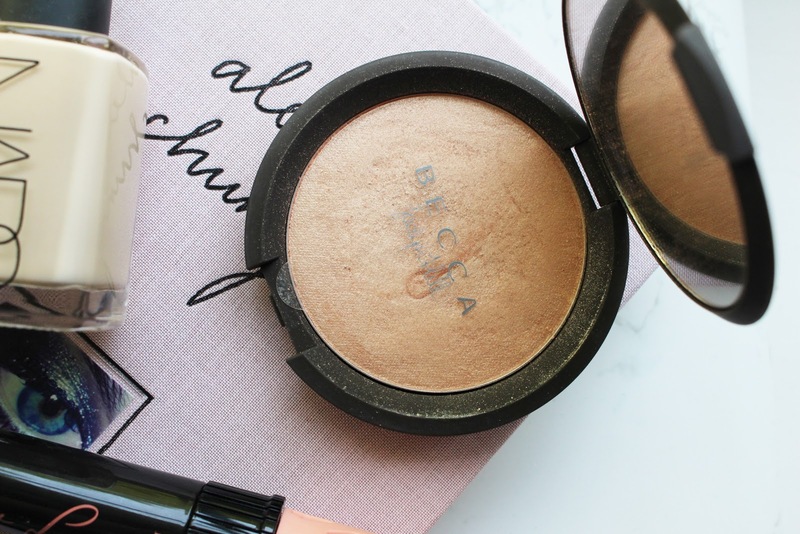 It's a gorgeous peachy champagne shade which is perfect for every skin tone - including very pale, like me. I rave about this highlighter a l o t and I know it's probably not necessary but I am obsessed so it would have to come with me. 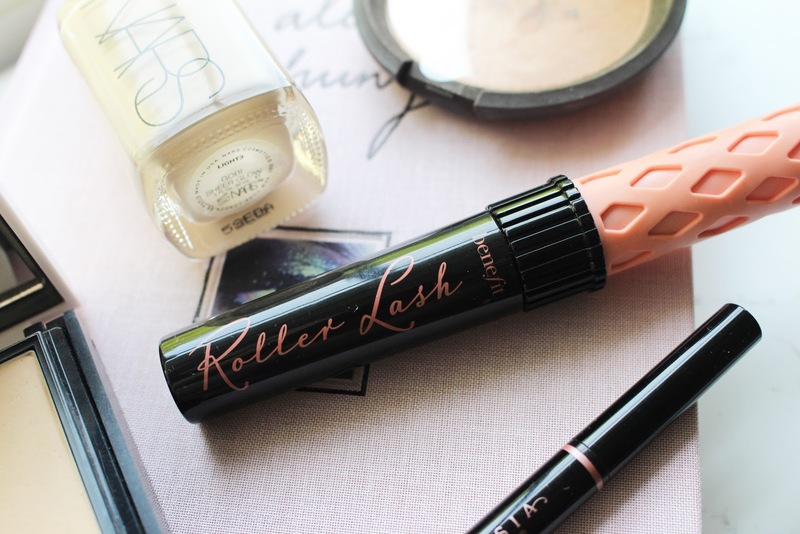 My holy grail mascara is Roller Lash by Benefit and I could not live without it (well, I probably could but my eyelash game would not be strong..) so this little baby would 100% have to come with me to the island. 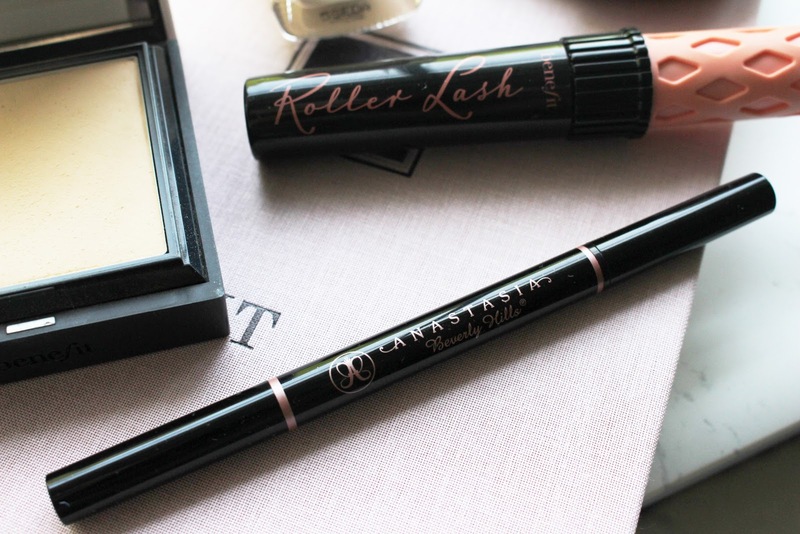 It separates, curls and lengthens my lashes and I've never found a mascara to do all three of these things and also tame my lashes so they actually look fairly decent and trust me, I have over 10 different mascara's so I've tested a fair few. I've tried using other products to fill in my brows and nothing compares to how natural yet defined your brows look when using this little gem. I'm currently using the new ABH Brow Definer (review coming soon) as my Brow Wiz has ran out, but I will no doubt be re-purchasing it very soon as it's a complete love of mine. 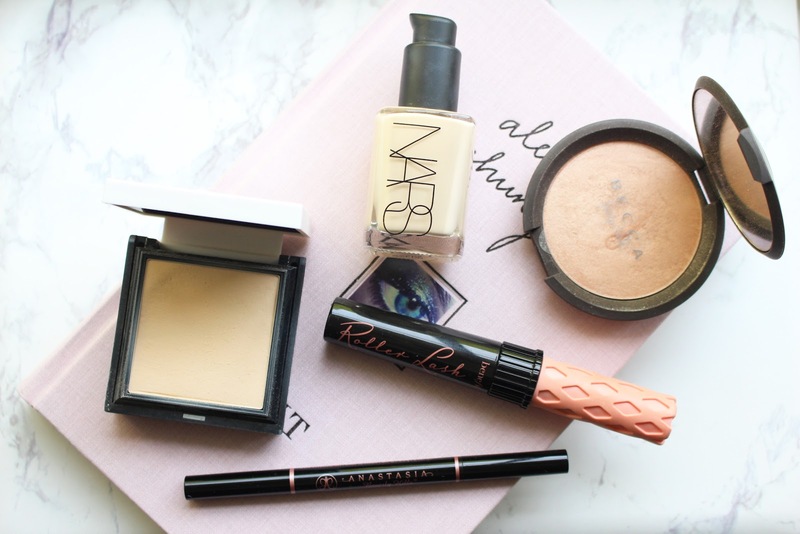 So there are the five makeup items that are my desert island beauty picks! I highly recommend all of these products to anyone and everyone as I really do think that they're a m a z i n g.